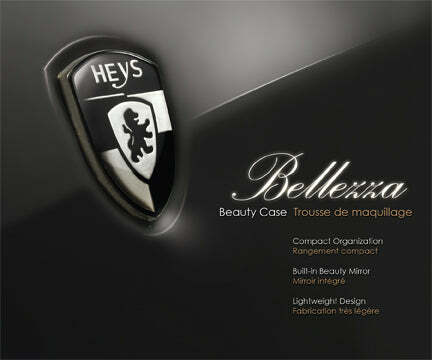 The Bellezza Beauty Cases are naturally stunning - they give new meaning to the term 'fashionable' travel accessories. 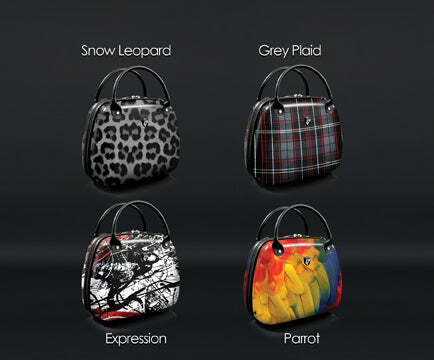 It comes in a variety of fashionable prints; from the Monarch to Snakeskin prints. The Bellezza has enough space in its elegant & compact design to fit and neatly organize all your cosmetics, brushes and accessories. 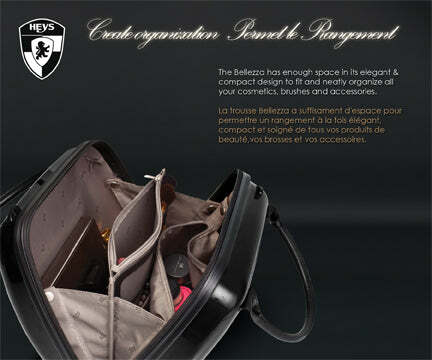 Its large main compartment can accommodate and organize different kinds of cosmetics and beauty accessories. The Bellezza is made from a lightweight and durable polycarbonate composite. Its divided compartment system allows for better organization featuring a built in mirror, dedicated brush holders and a pocketed center divider so it can be customized to your needs. It comes with a removable zippered bag specifically designed to hold smaller accessories while a detachable mirror allows for on the go use. The Bellezza has enough space in its elegant and compact design to fit and neatly organize all your cosmetics, brushes and accessories.